When I travel for work, I always try to do a bit of research and experience the best local sights I can make time for. 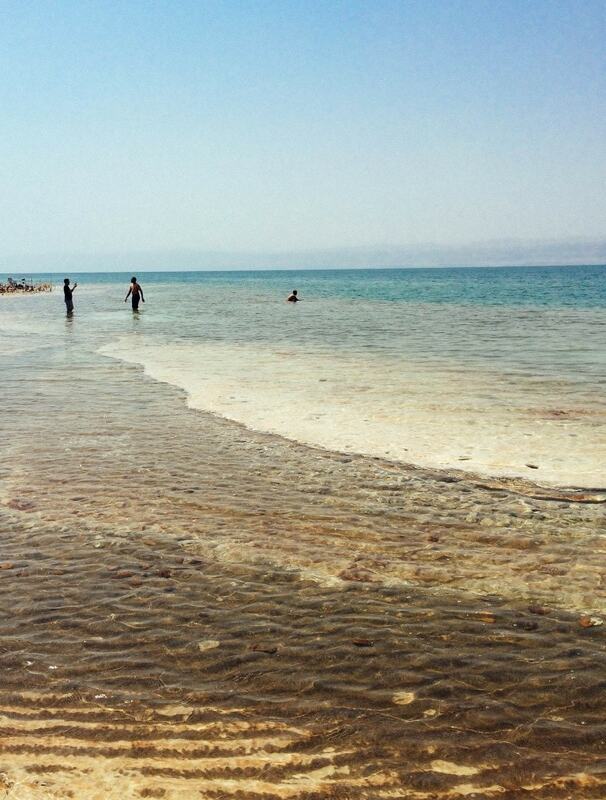 On this trip to Amman Jordan, I was fortunate to have a free day to visit the Dead Sea. This was such a unique experience and I would highly recommend it to anyone who is visiting Jordan. 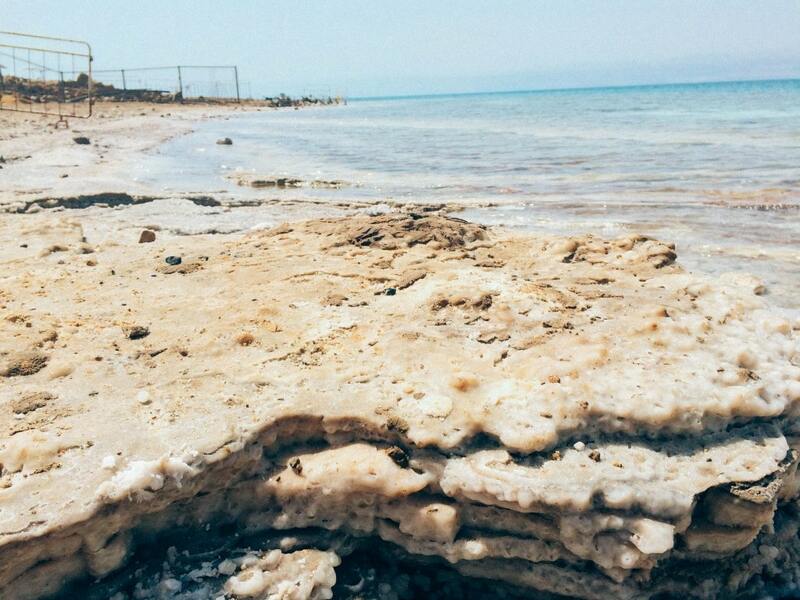 Dead Sea water has an unusually high salt content (33.7%!) making objects much more buoyant than most salt water. I knew this prior to my visit, but it is something your have to directly experience in order to fully understand. I was surprised by how exaggerated the level of floatation was, it was actually difficult to keep my legs beneath me. 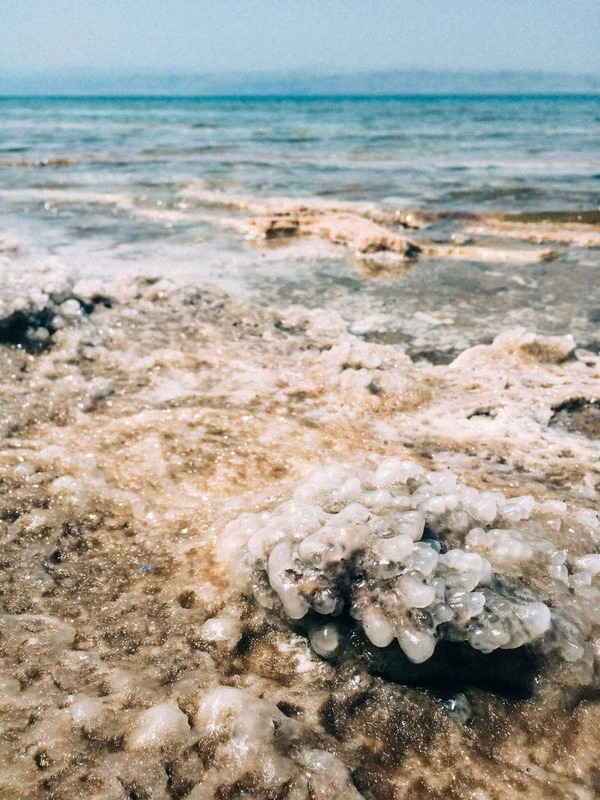 I’m not sure if it’s due to the salt content, but the water also has an almost oily texture and leaves your skin feeling like you go a full body baby oil rub down. The sea is quite easy on the eyes. 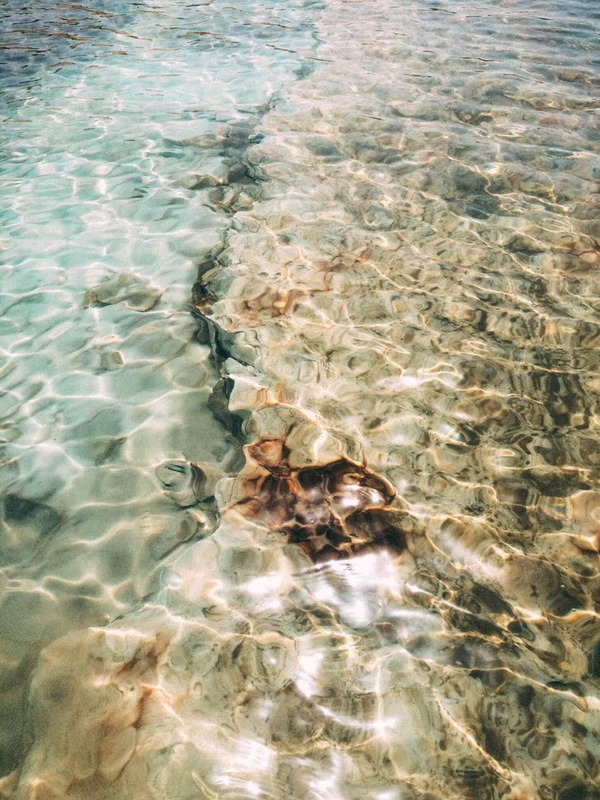 There is such an abundance of salt that it solidifies on the shoreline in a reef like fashion, creating amazing colors and textures. I would recommend setting aside a bit of time to just walk around and take pictures. Watch your step though, some of those salt ledges in the shallows are sharp. 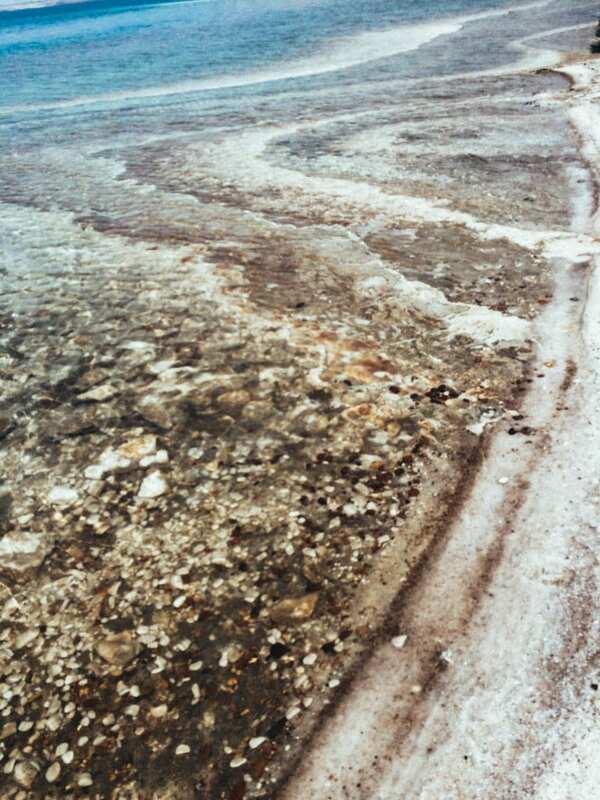 The sea is literally the lowest point on earth (-1355 feet below sea level!) making the air temperature and surface water temperature very warm. Be sure to bring drinking water as you will sweat profusely while dipping yourself in a warm salt bath. It’s very easy to get dehydrated. 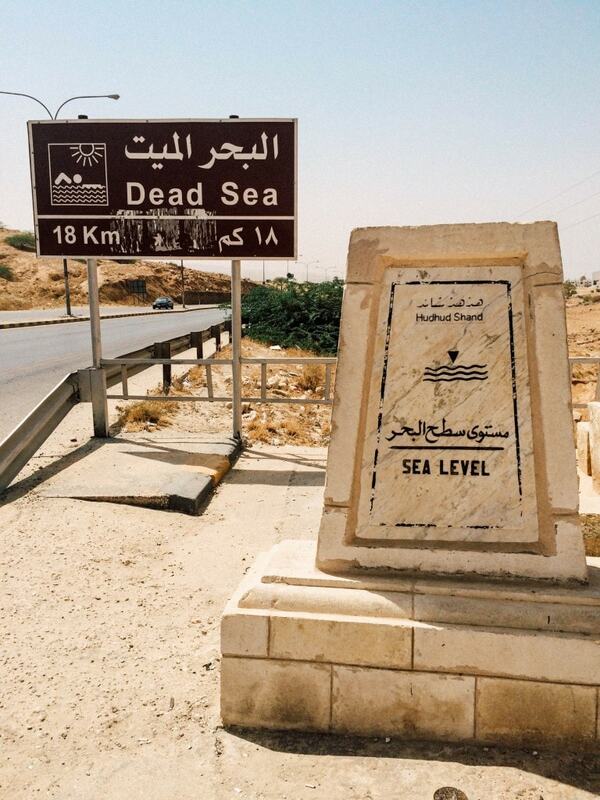 The sea is only a 45 min to one hour drive from Amman. When we were talking to drivers, we were told it was a two hour journey in what I can assume was an attempt to charge us more upfront. For just a few JOD you can rub mud all over your body and bake for a while before washing it off in the sea. It makes for a good picture and my skin felt ridiculously smooth after rinsing in the beach showers. 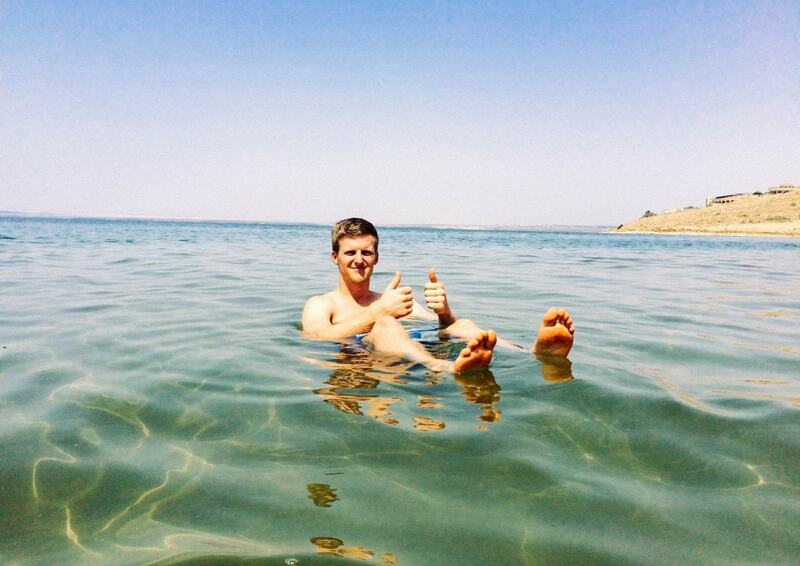 If possible, avoid shaving the for 2-3 days before you plan on floating in the dead sea. 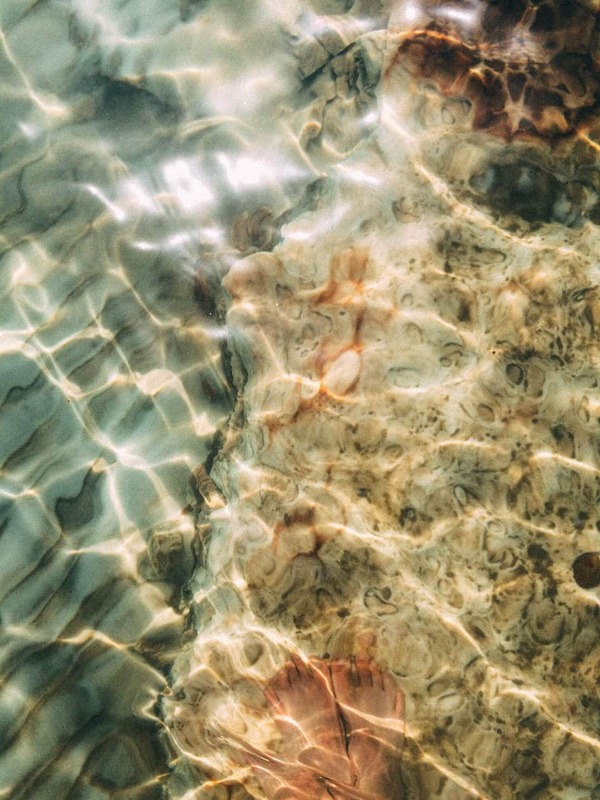 The salt water will sting and irritate freshly shaved skin. Same goes for any open wounds, it will hurt!! Don’t get the water in your eyes! It feels like acid. If you wear jewelry or sunglasses in the sea, there’s a good chance they will rust. 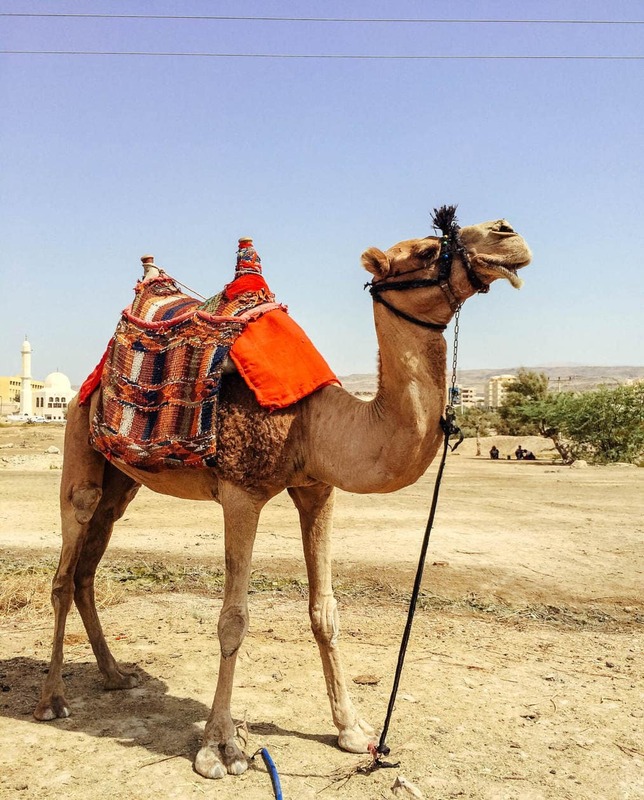 We were strongly advised by a few Jordanians we are working with not to take a cab. 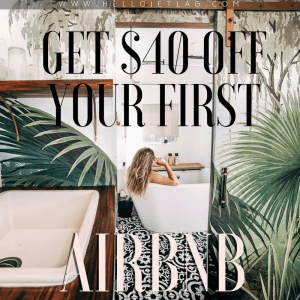 I have no direct experience with this, but they told us we ran a significant risk of getting scammed if we did. I believe it should be about 20-30JD ($28-32) each way. We used a rental car service that actually provided a driver with the car. For a total of 75 JOD ($105 split between 3 people) we were driven to the Dead Sea from our hotel, given two hours to explore and float, and then taken back to the hotel. As a side note: our driver took us to a souvenir shop on the way back to our hotel, where we were pressured to buy expensive “hand made” items by a very pushy employee. Lindsey and I have experienced this exact circumstance when we were in China, so I knew to wait outside while the other people I was with shopped. Just something to be aware of if your driver starts talking about making a quick stop at the gift shop. There is one bus that leaves daily from 7th Circle to the Dead Sea at 9am. The bus leaves the Dead Sea and heads back to 7th Circle at 5pm. It costs 7JD ($10) each way.